I learned to safely use a pressure canner as a child, putting up dozens of jars of garden-fresh green beans. I love the convenience of ready-made side dishes, but a few years ago I changed my approach to save food storage space– and now use my canner almost exclusively to prepare ready-made meals. Two favorite recipes for the pressure canner are chili con carne and beef stew. I also love Jackie Clay-Atkinson’s book Growing and Canning Your Own Food. Her Meals-in-a-Jar recipes include several stews, soups, bean combinations, goulash, meatballs, meat sauces, shredded barbecued beef, Sloppy Joes, stuffed green peppers, steak entrees, and taco filling. Follow the directions in your pressure canner manual. Make sure you also adjust the settings for your elevation. If you live in the US, you can call your local government Extension Office for the correct settings for your elevation. The importance of safety limits recipe creativity a bit. It’s important to ensure that the amount of pressure and processing time is appropriate for the acidity level of the food, the density, and the consistency. 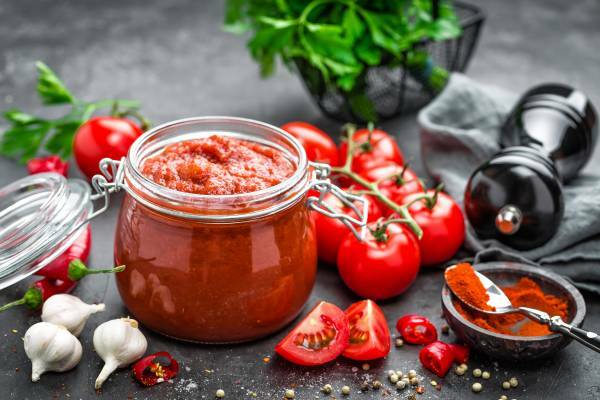 Even some favorite canning recipes such as apple pie filling and stew have been altered in recent years over concerns that thickening agents will prevent the food from getting consistently hot during processing. Check out available resources to avoid common mistakes. In addition to the book mentioned above, Jackie Clay-Atkinson has great information on her blog. You can also check out safety information provided by the National Center for Home Food Preservation. You can also download the USDA Complete Guide to Home Canning for free. Do you have a favorite pressure canning recipe or story you’d like to share? We’d love to hear about it! Send an email to Editor@HomesteadLarder.com, and we might just feature you in our Your Stories section. Our family’s effort to incorporate organic food into our diet didn’t start with well-researched concerns about chemicals or genetically modified foods (that would come later). Instead, our obsession with food started when we realized family friends had the best homemade baked goods we had ever tasted. And it was all made with whole wheat. Their secret? Grinding their wheat at home. 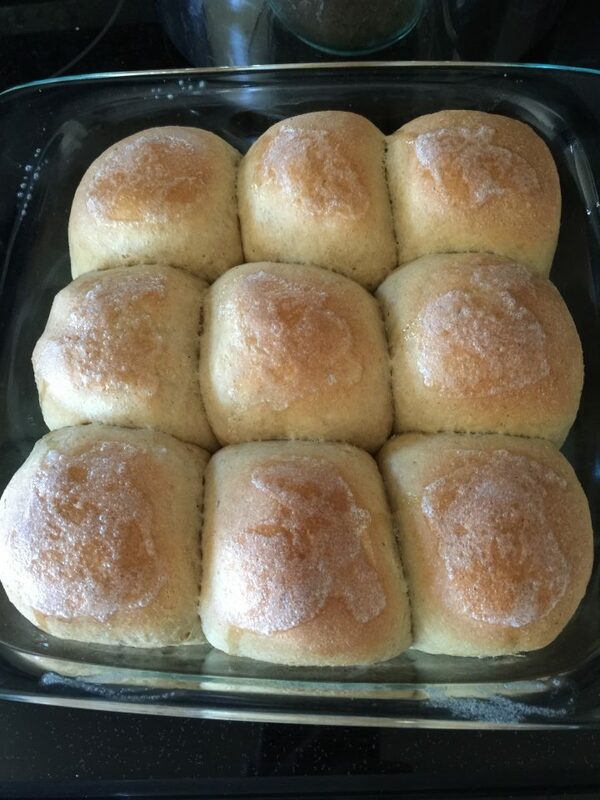 Dinner rolls made with freshly ground Kamut wheat. We already baked almost exclusively with whole wheat flour, but sometimes there was an off-putting flavor. I knew that was likely due to the oil from the wheat germ becoming rancid. But when I tried bread made with fresh ground flour, I realized it was time to up our game. We ended up investing in our first wheat grinder about seven years ago. You want to pick a model that won’t make the grain too hot during the grinding process. Too much heat during the grinding process can damage the oil in the wheat germ. If you live in a humid climate, choose a model you can clean it thoroughly. Our first wheat grinder was a Blendtec Kitchen Mill. We got a lot of use out of it, but when we lived in Taiwan for a couple of years, we discovered that mold had developed in a portion of the machine which we couldn’t effectively clean. Noise matters. We loved our Blendtec Kitchen Mill, but that thing was extremely loud. After returning to Idaho, we replaced it with a Wonder Mill. We love the detachable bowl for the flour, and it’s just loud. I no longer feel the need to warn my family members that I’m about to turn on the wheat grinder. You can buy wheat in bulk. 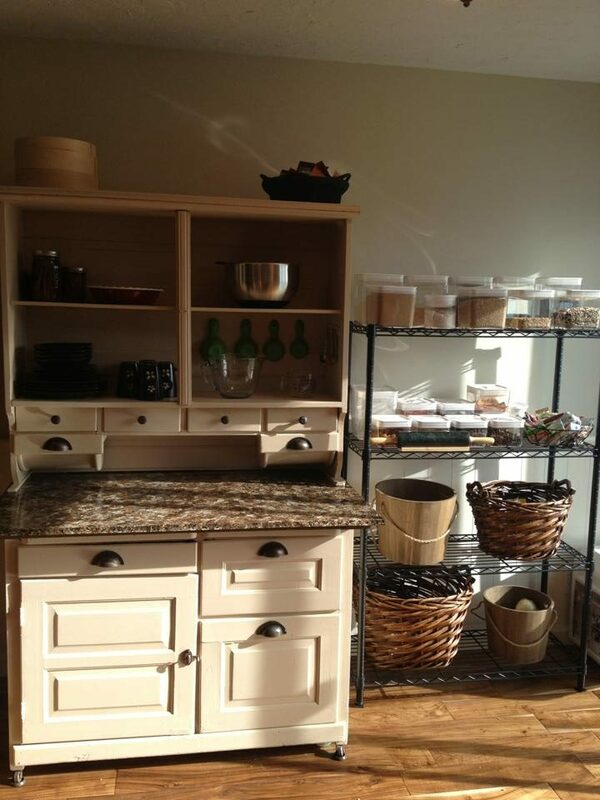 Unlike purchased whole wheat flour, wheat, if it’s properly stored, will last for years. I like to purchase organic wheat from Azure Standard in bulk. Different types of wheat will have different texture and flavors. We like spring hard white wheat and Kamut wheat for most of our baking. A soft spring wheat is wonderful for biscuits, cakes, and cookies. Flour is at peak quality for the first 24 hours after you grind it– so you’ll get the most out of your wheat grinder if you keep it in a place where you can use it regularly. Do you grind your own wheat? Have tips, tricks, or favorite varieties? Want to get started, but have questions? We’d love to have you comment below! Knowing we want to eat healthy, whole foods is easy. But finding the time and energy to get something on the table can be difficult. That’s part of why my Instant Pots (yes, I have two) are my best friends in the kitchen. Since we raise pastured chickens for meat, I always have whole frozen chickens in the freezer. And I know most three to four-pound frozen chickens will fit into my five quart instant pot. I usually sprinkle in a little salt, pepper, and, sometimes, oregano on the frozen bird. I toss in an onion, quartered, and a few cloves of garlic or some Frontier brand garlic powder. I add about a cup of water and set the Instant Pot on high pressure for about 55 minutes. It will take a while for the Instant Pot to get up to pressure, but in close to an hour and 15 minutes, I’ll have an entire chicken ready. Add some sides, and dinner is ready. When I want even faster “homestead fast food” pressured canned “meals in a jar” get the job done. Do you have any tricks or favorite meals for days when you are too exhausted to even think about cooking an elaborate meal? I’d love to read your comments below.